It’s the great way to escape the traffic and pollution in the city. You can get fresh air; see beautiful temple and watch breathtaking view. On the top of Doi Suthep Hills, at 3,520 feet above the sea level. 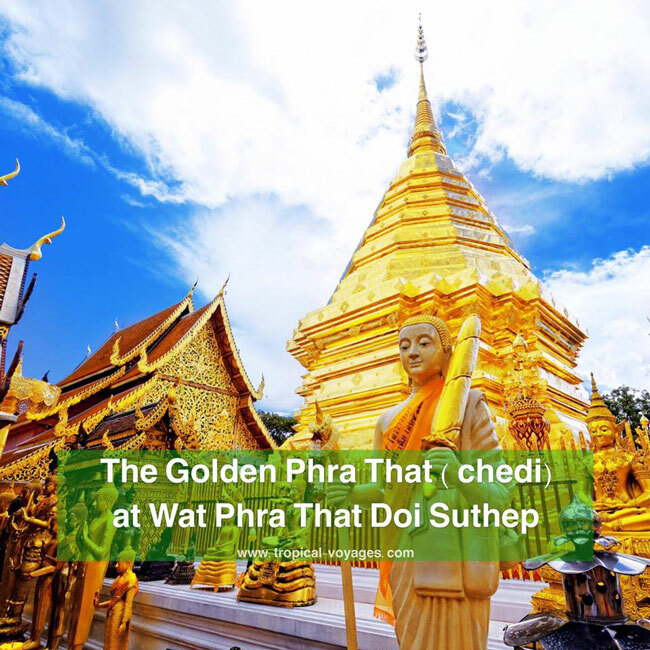 There is the landmark of Chiang mai that is shrining golden Phra That of Wat Phra That Doi Suthep. From the terrace of temple you can also see view above Chiang mai city. ‘Khao Soi’ is Lanna traditional curried noodle soup. It is the top of simply delicious dish in North of Thailand. 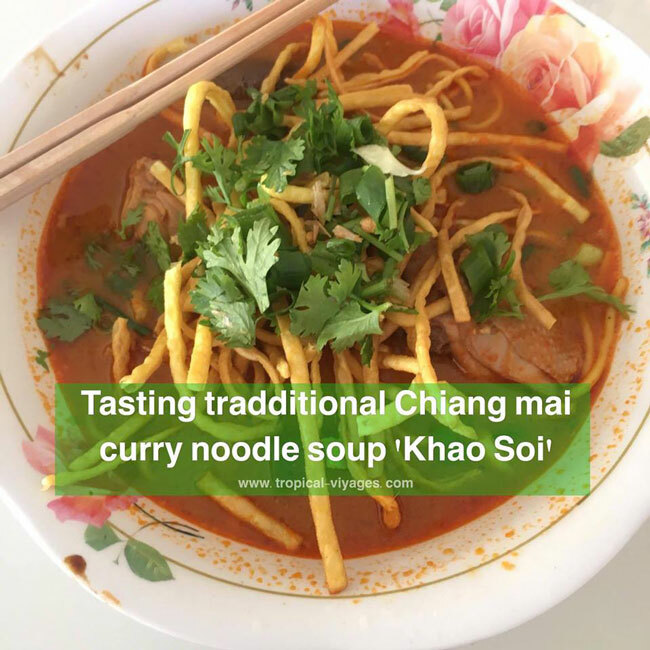 ‘Khao Soi’ is Lanna traditional curried noodle soup. It is the top of simply delicious dish in North of Thailand. The noodle is perfectly cooked. The taste is like richness coconut milk and the right level of spiciness. The bowl is served with picked shallots and topped with crispy noodles. photo of a Karen long neck woman. 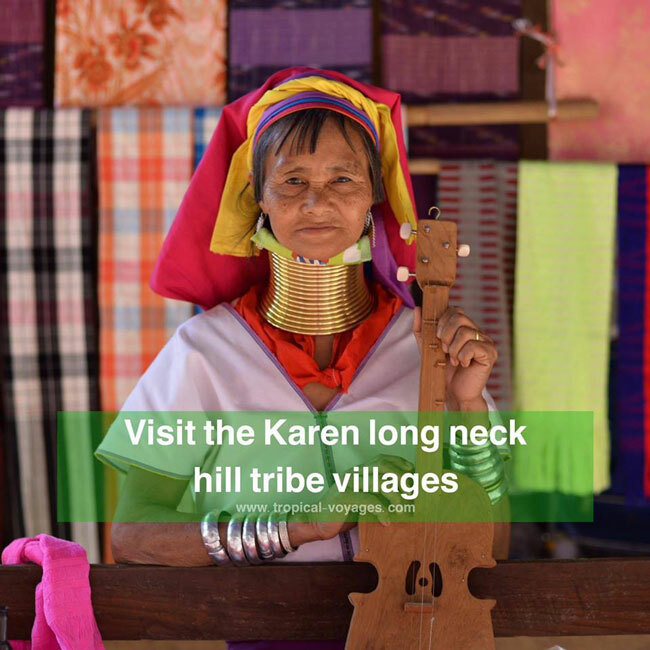 Karen Long Neck tribe in the north of Thailand is a tribal group who has historically lived in the tophills on the Myanmar, where is located side of the Thai border. The Karen women have shiny and heavy yellow rings that made of brass around their necks as a symbol difference from other tribal and beautiful. Almost Karen men are farmers and agriculture but women have skill crafting about weaving. 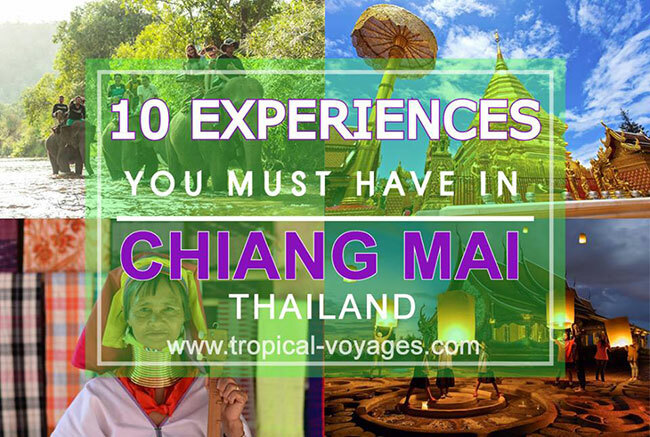 Therefore visiting the Karen Long neck village in Chiang Mai in Thailand is one of the most exotic experiences. 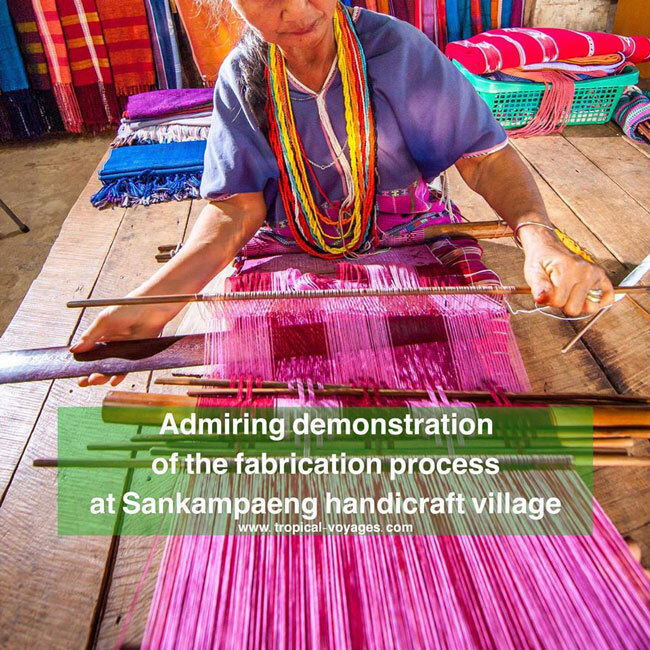 Sankampeang is the center for the highest quality of handicrafts in Thailand. The village is surrounded with various small cottages that are also craft factories and small workshop for local artists to create wonderful and dedicate pieces of arts. Tourists are welcome to watch and buy their crafts such as silk and textiles, umbrellas, woodcarving and furniture, silver accessories, etc. 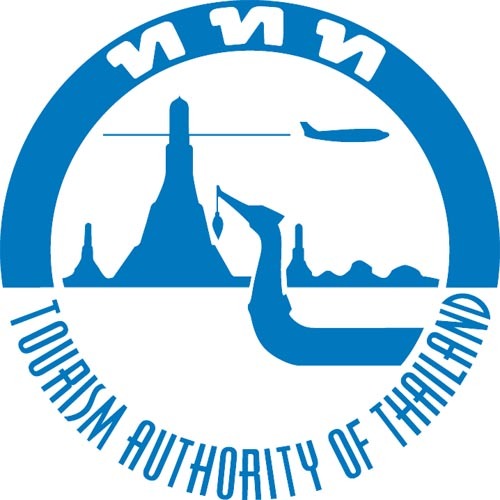 ‘Mae Ta Marn Elephant Camp’ is located 30 km. from city. 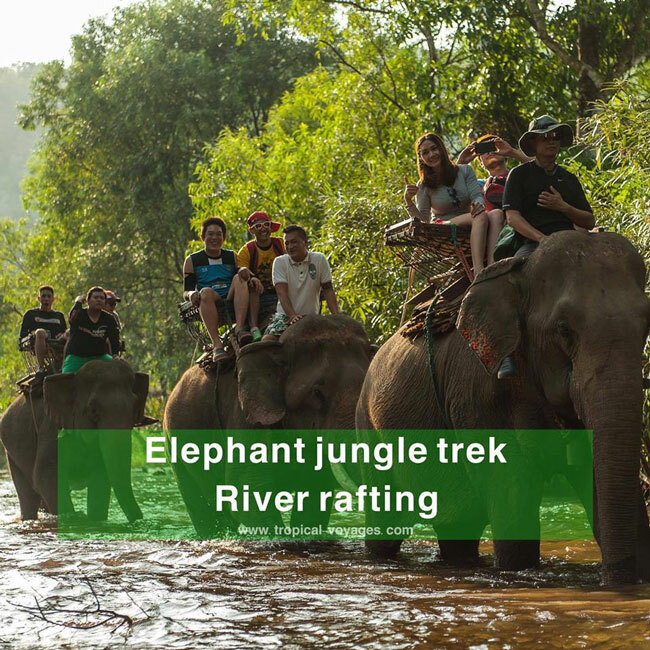 You can have a truly enjoyable with many activities in the camp such as take care, feed, swim and play with baby and elephants in their natural. You can professionally be owner the elephant with trainers for a day in the camp. 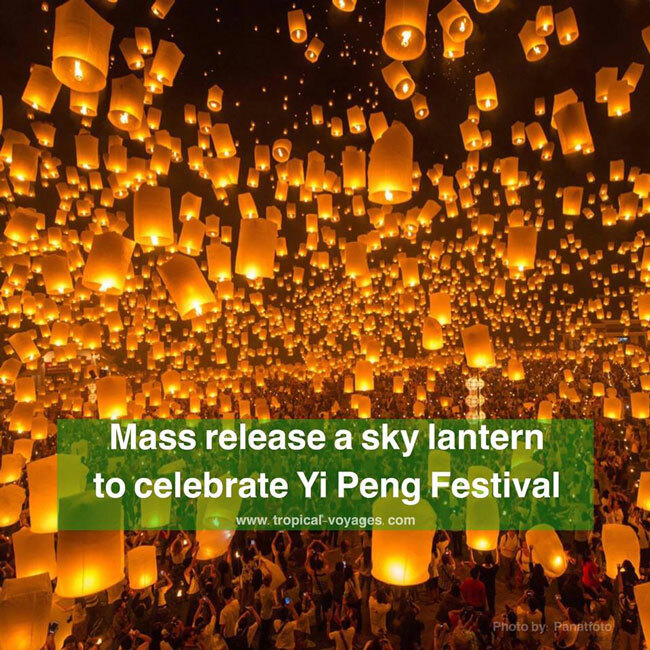 The highlight of ‘Yipeng’ festival is an attractive show that happens when more than a thousand of locals and tourists releasing ‘Kom Loi” (lantern) at the same time flowing into the dark sky. Besides, There is another one beautiful ritual that is Loy Krathong. Krathongs are delicately decorated by folding banana leaves and colorful flower as well as candle and incense. Afterwards, the krathongs will be released floating into the river, canal or lake to apologize goodness in the river. Surly, Don’t forget to make a wish before you let go of lantern and krathong. Night bazaar market is a popular to spend the night shopping local products and eating local food. It has one kilometer long down both sides of Chang Klan Road. 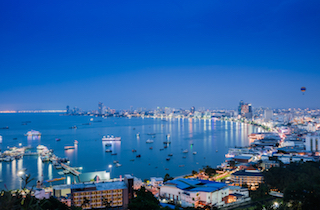 The night market includes restaurants, bars and other entertainment. 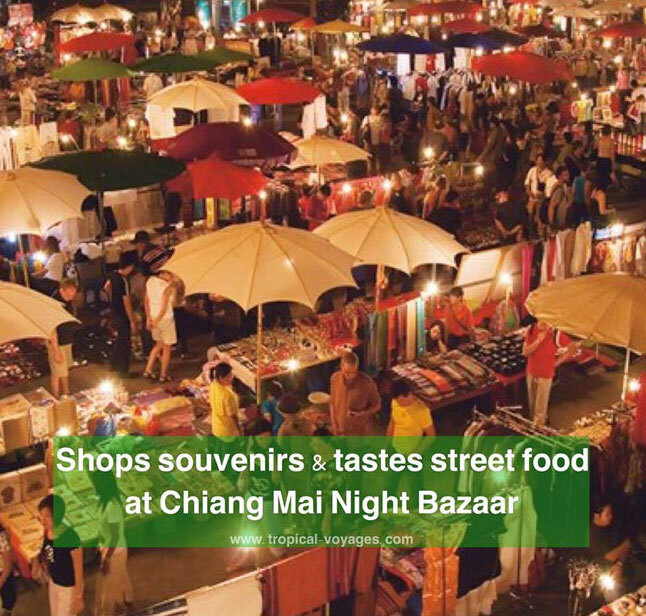 The Chiang Mai Night Market is considered legendary and absolutely one of the cheapest places for tourists to shop everything. 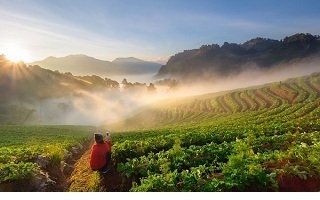 Tea plantation is located in northern Thailand at Chiang Mai and Chiang Rai. 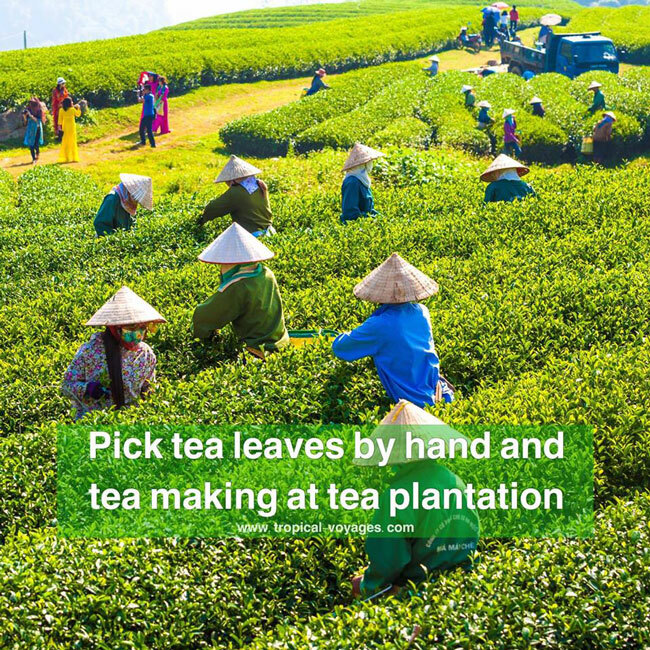 All Tea leaves are manually harvested by hand in the early morning. Then processing has started immediately within an hour since picking when they arrived to factory. 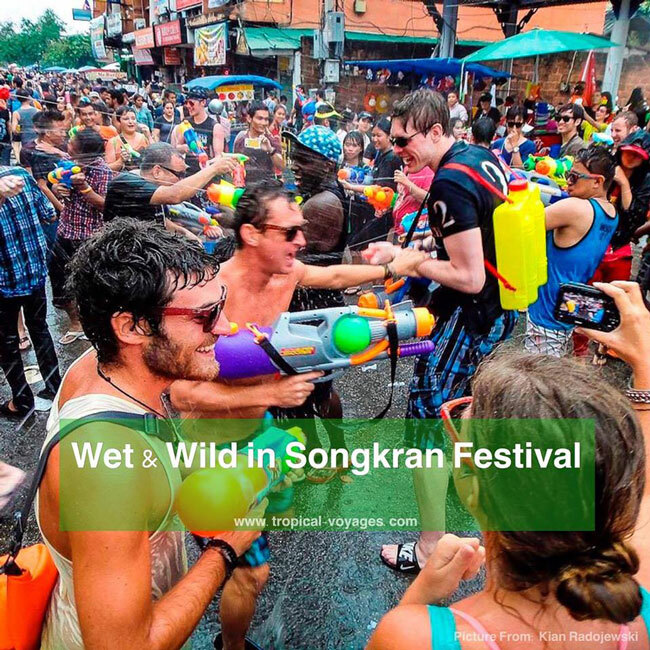 Songkran festival is known as the biggest world water festival. 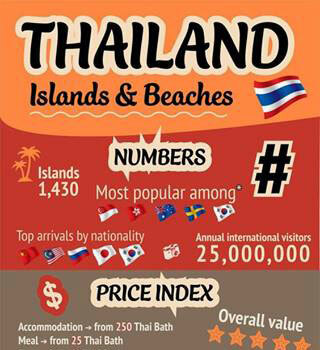 To celebrate the traditional New Year in Thailand is normally in the middle of April all over the country, although the celebration in the city of Chiang Mai is generally recognized as the most authentic example and the most intense. The water madness is evident everywhere but is particularly intense around canal or moat. Men, Women and tourists from oversea on the streets are held water gun and buckets of icy cold water finding for their next dried victim. 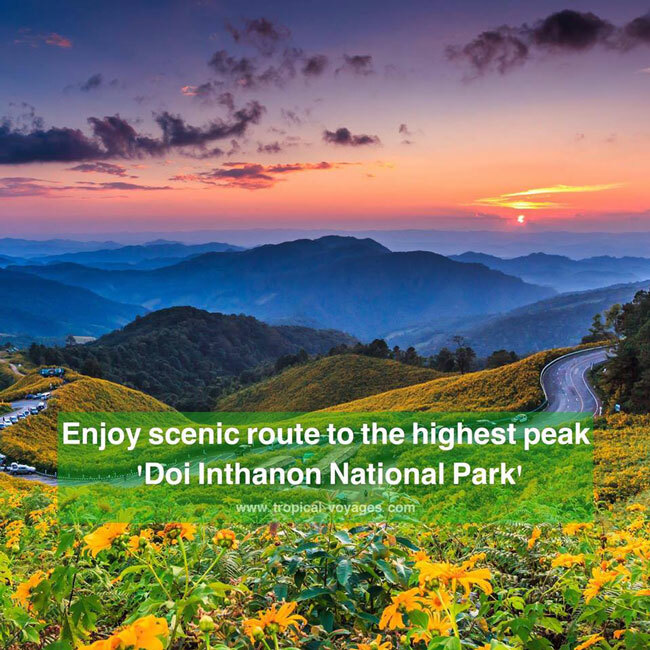 Driving to a peak in Doi Inthanon Mountain is a popular destination. 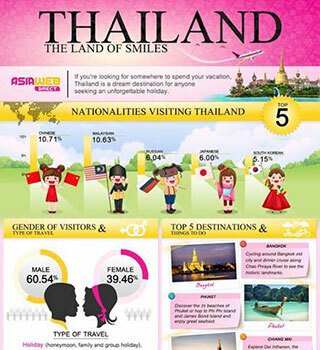 Here is also known as ‘ the roof of Thailand’, this national park is located around 100 km from city. Beginning from the city of Chiang Mai and then heading to Hang Dong District and then onto the small Thai’s village of Sanpatong. There is a huge authentic local market with local products to discover. From the market around an hour, there are incredible scenic views both sides of road but well worth the wait. Rice fields are on the left and the right is farmer’s fields, which are surrounded with amazing mountain views all around. It is definitely worth to drive just for those views.